Description: The Hungarian folder is a unique Ethnic Series knife designed by Hungarian architect and knife enthusiast Szakonyi Gábor (No relation to Zsa Zsa, I don’t think). 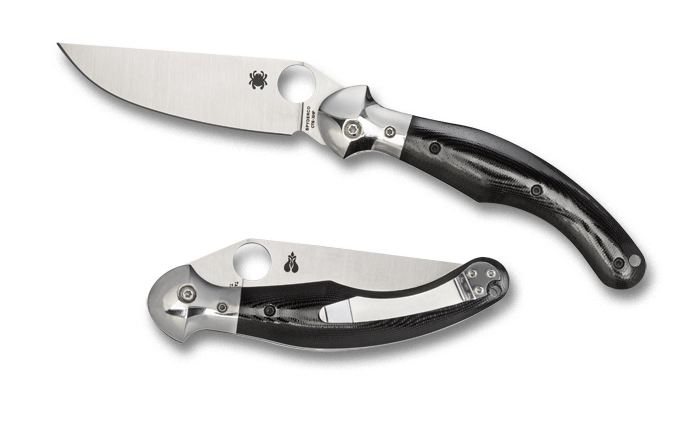 The knife has some beautiful curves and sweeping lines, and is probably one of the prettiest knives to come out of the Spyderco thinktank of late. This entry was posted on Monday, October 28th, 2013 at 6:42 pm	and is filed under 3" to 4" Knives, Designer - Szakonyi Gábor, Features - Bolsters, Features - Screw Construction, Handles - G10, Lock - Liner Lock, Manufactured - Taiwan, Steel - CTS XHP, Type - Ethnic Series, Type - Folding Knife. You can follow any responses to this entry through the RSS 2.0 feed. You can leave a response, or trackback from your own site.